Citizens of the countries which are ready to waive visa requirements for Iranian nationals will also receive visa waivers from the Islamic Republic in a reciprocal move, Zarif said Friday in a visit to Isfahan, a major tourist hub in central Iran, Press TV reported. Iran’s Majlis speaker says the crises in Syria and Yemen can be resolved only if the wills of the two nations are taken into regard. “Some powerful countries proposed plans to resolve the crises in Yemen and Syria. We believe that such proposals would not work, since they do not address the wills of the nations,” Ali Larijani told reporters early on Saturday before leaving Tehran to attend the fourth world conference of the Speakers of Parliaments in New York, Press TV reported. 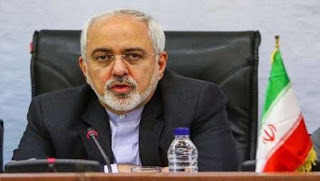 He stated that Tehran is going to offer new plans for fighting terrorism and promoting peace at the upcoming conference. “There is a great gap between words and deeds. We see wars in the battlefields and in conferences, everyone talks about democracy,” Larijani noted, adding that during his speech at the conference he will try to define how democracy can realistically and practically promote peace in the region and the world. He also pointed to the deadly military aggression against the Yemeni people, saying political dialog is the only way out of the crisis in the impoverished Arab country. “Some countries suppose that they can solve problems through pressure and militarism, but the age of such theories is long over." Some 180 parliamentary leaders from 140 countries are going to take part in the New York conference. The conference, which is to focus on tackling the challenges to peace and democracy, will be held from August 31 to September 2. Yemen’s Ansarullah revolutionaries and allied army units have shelled Saudi Arabia's southwestern city of Jizan as part of their retaliatory attacks against the ongoing Saudi aggression. According to media reports, several tanks and armored vehicles trying to infiltrate a Yemeni military base were destroyed in the Friday shelling. 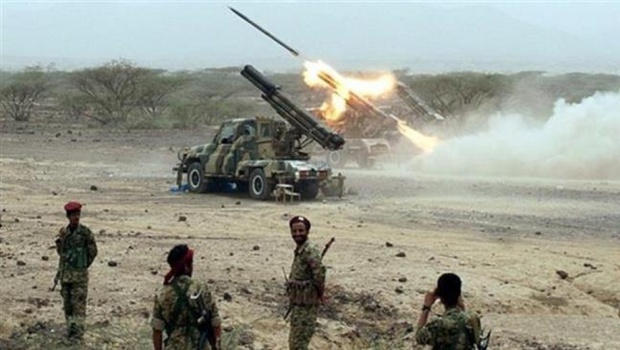 Yemeni forces also targeted a control tower in Jizan by mortar attacks. They have killed a number of Saudi troops and captured several military bases over the past weeks. The allied forces have intensified strikes on Jizan in recent days in retaliation against Riyadh’s airstrikes on civilians and residential areas across Yemen. 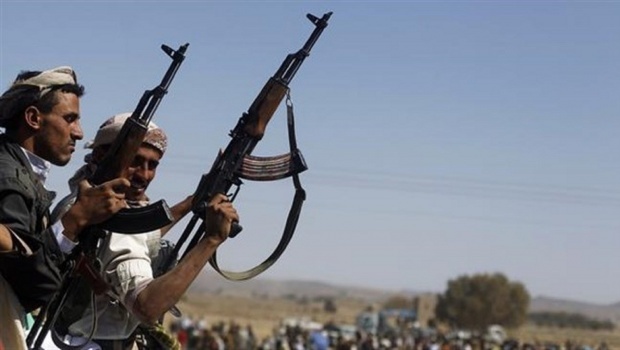 Earlier on Friday, Saudi fighter jets carried out a series of airstrikes on the southwestern Yemeni province of Ibb, martyring 12 and injuring 28 people. Later in the day, Saudi Apache helicopters launched seven missiles on various areas in Yemen’s southern Shabwa province. More than 4,300 people have been martyred in conflict in Yemen since late March, the World Health Organization said on August 11. Local Yemeni sources, however, say the fatality figure is much higher. 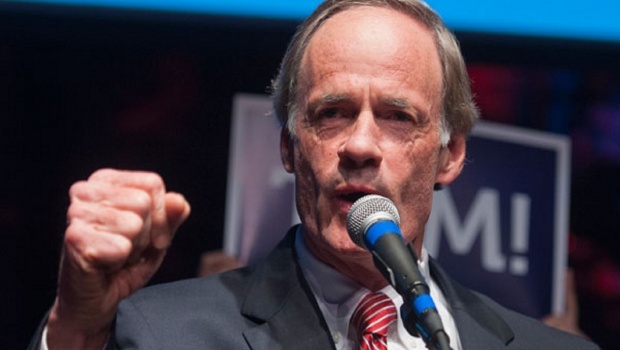 US Senator Tom Carper has announced that he will support the historic nuclear agreement between Iran and six world powers, including the United States. “This is a good deal for America and our allies, including Israel, one of our closest allies. And, oh yes. It beats the likely alternative - war with Iran - hands down,” Carper wrote in an opinion piece published in The News Journal of Delaware on Friday. Carper, a Democrat from Delaware, on becomes the 30th US senator to announce that he would support the successful conclusion of nuclear talks reached last month between Iran and the P5+1 group of countries - the US, Britain, France, Russia, China, and Germany. President Barack Obama needs 34 votes in the Senate, or 146 in the House of Representatives, to save the nuclear agreement in the Republican-controlled Congress, which is reviewing the accord and is scheduled to vote on it next month. The Obama administration has said that it is confident it’s going to have enough votes to sustain a possible veto. White House spokesman Josh Earnest has said support for the agreement is growing.